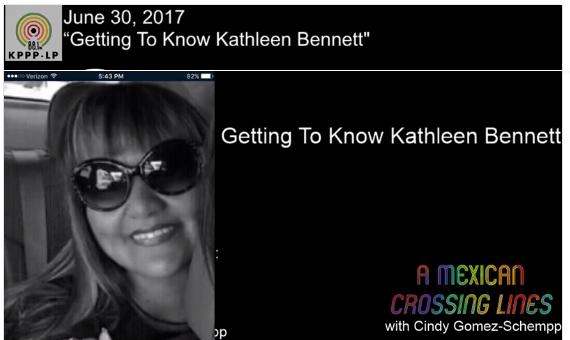 A Mexican Crossing Lines has an interview with Kathleen Bennett. Kathleen is bailed out of jail, however still faces charges that have been falsified by Morton County and faces nearly 20 years in prison for crimes she did not commit. This interview focuses what her mother, Mary Trujillo is like, her relationship with her son, Russell Vasquez, the type of care Mary needs and some discussion of how Mary was mistreated by the St. Alexus hospital in Bismarck, ND and the mentality of the police department in pursuing these false charges. Also highlighted in this broadcast are some fundraising efforts to raise money for Kathleen Bennett’s legal funds through a raffle.